Those who work in the medical field often have access to a variety of drugs. Doctors, dentists and nurses can easily get a hold of painkillers, sedatives and stimulants. In some cases, they take these pills for themselves. In other cases, they steal the medications and sell them to others in order to make a profit. If they get caught—which they almost always do—they can face punishment such as license suspension or revocation. A dentist was recently arrested and charged with illegally selling prescription drugs—after already losing his dentistry license. On January 28, the 42-year-old dentist from Colorado pled guilty to possession of a controlled substance with intent to distribute. 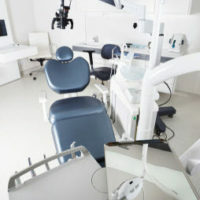 The dentist was arrested after an employee at his practice, Comfort Dental, told police that he had a pill mill going on. Given this information, police searched his office and found that he was illegally selling oxycodone, Percocet, Xanax and other prescriptions. The dentist had already lost his license in December 2017. He was accused of an unrelated criminal case and surrendered his license five months later. At the time of his most recent arrest, he was on probation for domestic violence. He faces up to six years in prison. His sentencing is scheduled for April. If you are even accused of a crime, your professional license could be at risk. While felonies can cause more damage than a misdemeanor, both can have an impact on your license, either temporarily or permanently. In either case, you could lose your license. Prescribing or giving away drugs illegally can also lead to license suspension and revocation. If you lose your license, getting it back can be challenging. You may be on probation for a certain period of time. You may have to pay fees, take special classes or agree to certain terms and conditions before you can get your license back. Seeking employment can be a challenge. Many employers avoid employees with criminal records. Therefore, if you are charged with a crime, seeking legal representation can help reduce your penalties and even eliminate your charges altogether. Even if you don’t harm a patient, as a dentist, you are obligated to act in an ethical manner at all times. Those who hold a professional license have higher standards that they must abide by. Their actions outside of the workplace can affect their license status. Illegally selling prescription drugs is looked down upon. Such an act leads to abuse and addiction, which is a growing problem in the United States. If you are in a situation where is your license is at risk due to a criminal act, seek legal help right away. 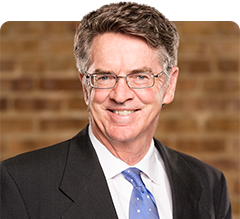 With 30 years of experience under his belt, the Law Offices of David P. Rankin, P.A. can help you with your administrative issues. He has helped many Florida dentists keep their licenses. Call (813) 968-6633 or fill out the online form to schedule a consultation.